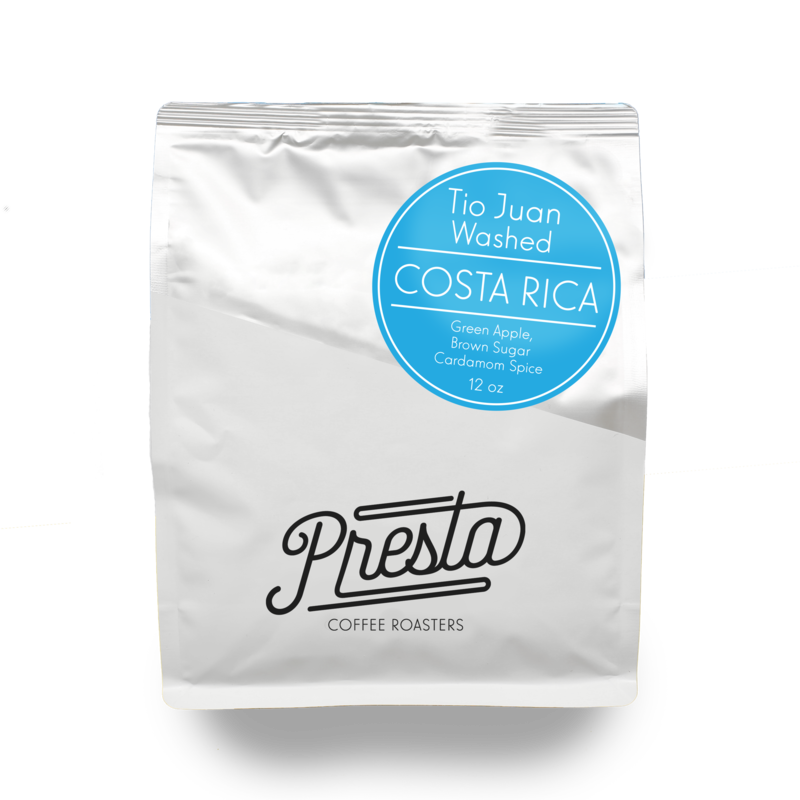 This is the first of several Costa Rica coffees that will be arriving this season in 2018. Earlier this year Curtis and Braden visited Costa Rica and had the opportunity to tour the Tio Juan estate. This agriculturally diverse farm boasts a thriving farm with split crops of avocado, and granadilla(a local fruit that is amazingly delicious), and coffee. This secures an income for the farm and it's workers in case of any crop issues. It's Washed process gives us a very clean cup that lets it's prominent characteristics shine through without any sense of cloudy body. We're getting green apple as a forward fruit note, with a great brown sugar finish and a hint of cardamom.